Windows 7 is the latest operating system offered by Microsoft.This windows has latest features and fast performance than its precedder operating system Windows Vista.Now if somebody having problem to operate Windows 7 in English and wants to operate Window 7 in Hindi ( हिन्दी ) ,You can download and install Microsoft’s Language Interface Pack ( LIP ) for Windows 7.This Language Interface Pack ( LIP ) available for both 64 bit and 32 bit versions of Windows 7.This Language Interface Pack ( LIP ) for Windows 7 completely convert or transform Window 7 to Hindi ( हिन्दी ) language for easy use. (1) For this first click here to download Microsoft’s Hindi Language Interface Pack ( LIP ) for Windows 7. 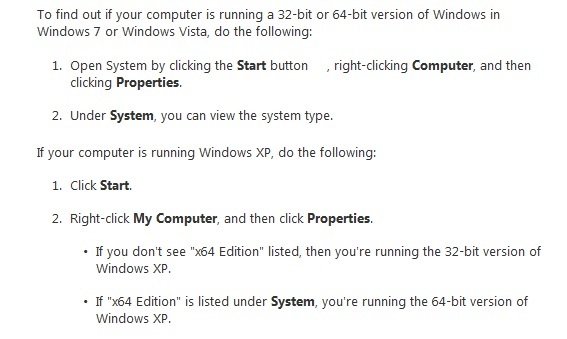 (2) You will find screen as shown in above picture.Select ﻿Language Interface Pack ( LIP ) according to your windows version (32 bit or 64 bit version).If you don’t know your windows version check below picture . (3) Now download and install Language pack (LIP) and after installation select hindi as Language. 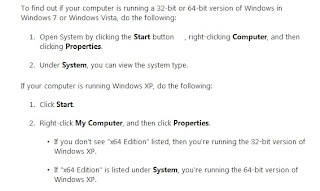 (4) Restart your computer and enjoy Windows 7 in hindi language. How to Setup and Use Google Chromecast with iPhone, iPad or Mac?